Where has the sun gone...I wonder? Isn't it great when you get a surprise? and I fell in love...with everything! CK ' Mini Shooting Star ' haberdashery fabric....of course! and so this seems a good time to answer them here too! as we have become very accustomed to seeing Milly around here! 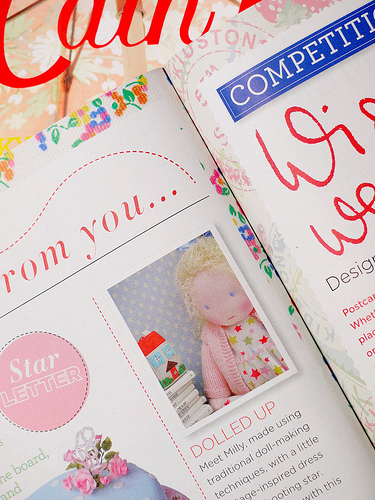 Do you sell a 'Milly' sewing pattern? 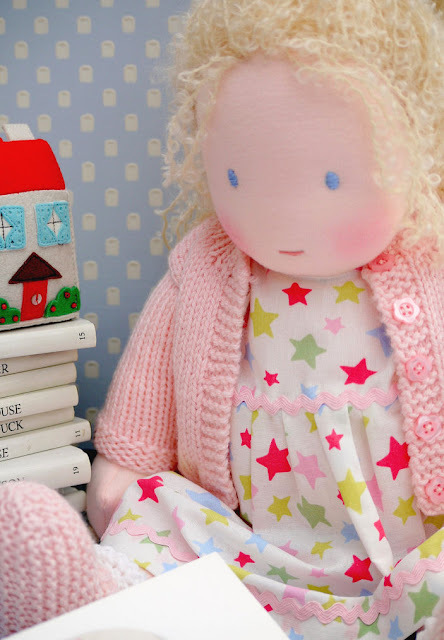 It really is lots of fun and very rewarding creating a little person! Where did I purchase my materials for Milly? 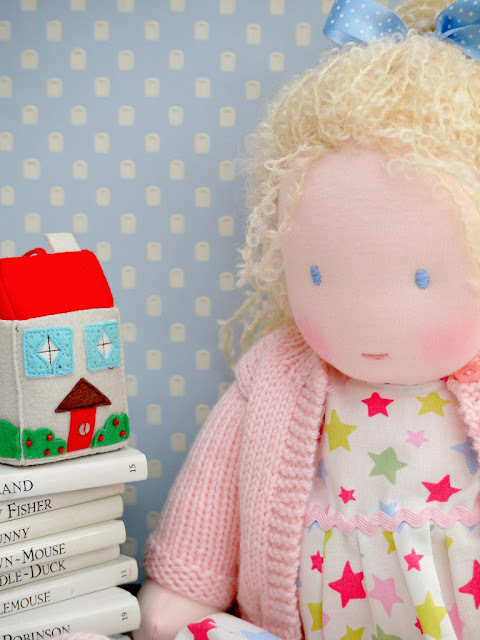 Are you going to make any more dolls like Milly? but I do already have 2 designs in mind..
Milly is very sweet, Susan. So happy for you that she is in CK! Wish CK shipped to my country too. Oh how wonderful, Susan........Milly has made the big time, she looks gorgeous in her photo shoot, I don't think I could part with her either. vindt ook zo'n schatje om te zien, ze blijft mijn favoriet. Milly is adorable!!! Congrats on having her in the magazine. I think Milly so so cute. Congratulations to you and Milly! You must be very proud! Never let her go!! Milly is so sweet and adorable! 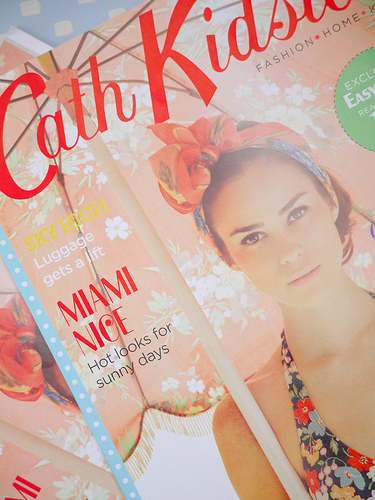 How wonderful to be in the CK magazine - how appropriate too for one so very pretty! Hope you are all having a very happy and sunny week in the tearoom. i'm not surprised they decided to feature miss milly in the ck magazine. she's absolutely adorable, and deserves her moment in the sun. Your Millie is the loveliest thing in that catalog. I use to make dolls. Just like that. Just start cutting muslin and end up with a unique personality. Congratulations to you and Millie as well! well I say Milly deserves to be in the illustrious company of Cath Kidston! p.s. came here via facebook...amazing what you can find by clicking a few links, I love this work! Congratulations! Milly deserves a fashion spread. What a beautiful blog. I love it. Your dolls are adorable!! Please come visit me at my new blog if you get a chance. It is Ric Rac and Polka Dots. It's a brand new blog, but I am planning on lots of fun projects to share with everyone. Hope to see you there! wow, i love this one... looks very familiar to my. Her sister sits on the other half of the earth on my blog. Would they ever meet? Look for her at my blog under may 13 = 13 mei. Alweer een pop. This one is old already.. She didn't know she had such a sweet sister.